The Widnes Wild Academy Under 15 team lost 0-8 to very strong Nottingham U15 team at Planet Ice Widnes on Saturday. While a defeat is always disappointing, the Widnes youngsters can take solace from the fact that this was their best performance yet against the league leaders, having previously lost to them 0-12, 0-11 and 0-11, and they have significantly increased their possession of the puck and shots on goal figures since the earlier meetings. The Wild defence coped very well with the early pressure and the first breakthrough of the game did not come until the 7th minute. The score remained 0-1 at the first period break and, while Nottingham clearly had the upper hand, the Wild Academy did not look out of their depth and had their own chances to score. Three goals in the second period put the game to bed as a contest and 4 more in the third period made the scoreline a little more flattering to the visitors than the game actually was. 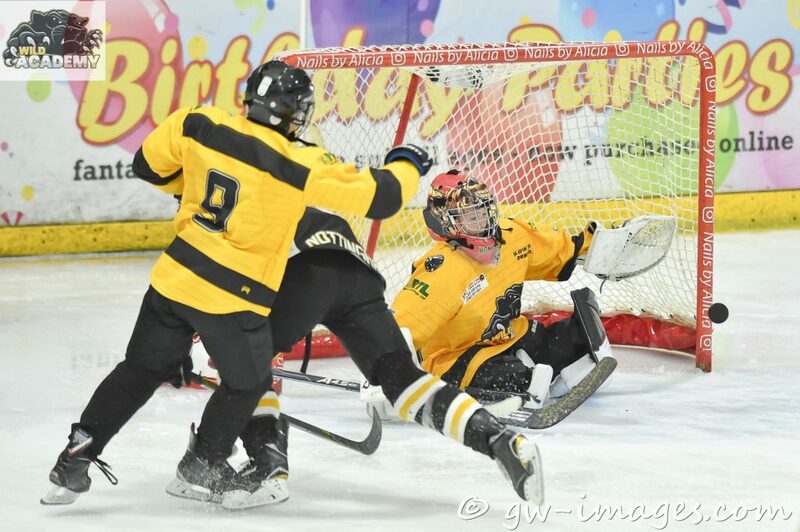 The post Wild Academy Under 15s Show Progress Against League Leaders appeared first on YKK Widnes Wild. Own one of the game-worn cup jerseys â€“ no replicas will be made!